Thomson’s Bar is a haven for real ale aficionados and malt whisky fans alike. With original oak timber detailing, the bar is beautifully designed in the style of celebrated Scottish architect. 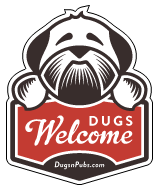 There are a total of 4 dog friendly listings in the Haymarket category. Please log in, or sign up as a member to view all listings.